Are you thinking of going mobile? 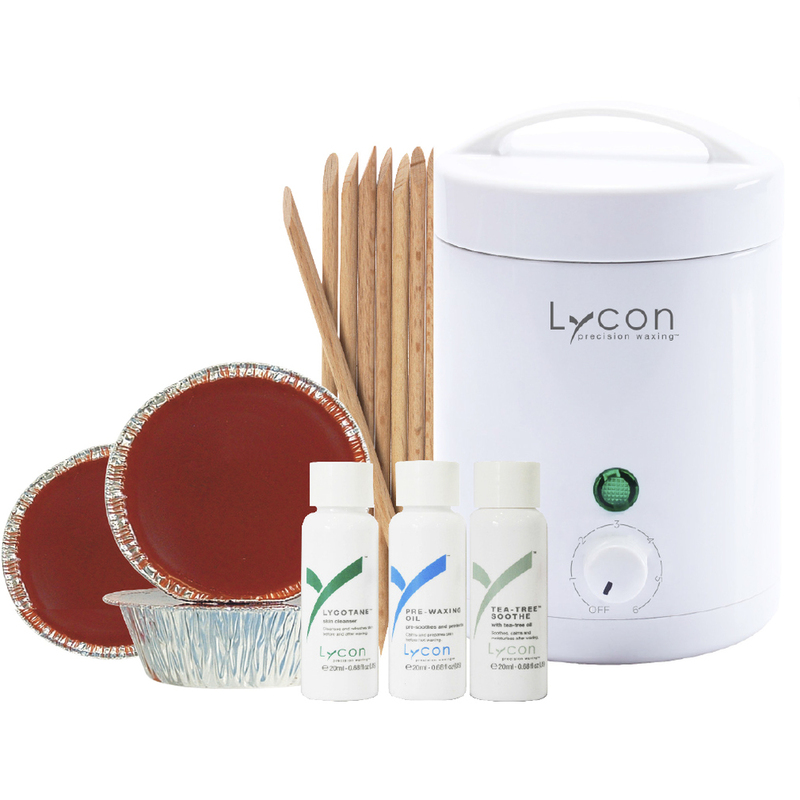 LYCON Baby Face Waxing Kit - Perfect for small work stations and mobile salons! The LYCON Baby Face Waxing Kit contains everything needed to create perfect and precise LYCON brows and for all lip, face and nose waxing. A must have for small work stations, mobile services and makeup artists. This LYCOpro Baby Heater holds 8 oz. / 225 grams, suitable for hot & strip wax. Gently and accurately removes hair as short as 1mm, providing the most thorough and virtually pain free waxing treatment for your clients every time! Also, don't forget to stock up on all of your waxing supplies before you hit the road! Follow the 3-Step Process from Epillyss for The Most Satisfied Wax Clients Ever! No two waxers are the same, and Epillyss understands that. That's why Epillyss has designed their full line of waxes, each with varying properties that make it easy to choose a wax that works best with your personal waxing style. The entire Epillyss waxing line of products has been designed around a 3-step process, to help each and every waxing technician provide the very best depilation service for all of their clients, ensuring technician and client satisfaction, again and again. The first step in any waxing service is the preparation of the skin for hair removal. Sanitization is an important part of this step, to ensure client's health and safety. In addition, this step is very comforting to your clients, leaving them cleansed and refreshed. Pre-Depilatory Magnolia Gel - Featuring mint essential oil, this pre-depilatory gel sanitizes and numbs the area to be wax, reducing sensitivity by up to 20%. Pre-Depilatory Lotion - Quickly disinfect the skin prior to depilation. This lotion contains benzalconium chloride, known for its powerful antiseptic properties against germs, bacteria, and yeast. This product is alcohol-free, and will not dry the skin or tighten the pores. Pre-Depilatory Microtalc - Apply to sensitive areas to ensure comfort during the waxing service. Epillyss has designed this microtalc especially for waxing purposes, featuring a pure mineral base without fragrance or additives. By applying Microtalc to absorb moisture, the traction on the skin is greatly reduced, resulting in a more comfortable wax service, with less irritation following the depilation. Next comes the heart of the service - the waxing! Epillyss waxes have been developed featuring different characteristics, making each wax a unique solution for estheticians everywhere! Epillyss waxes feature Bioresin C3, and exclusive ingredient formulated by Epillyss. The use of Bioresin C3 allows for a lower level of oil in each Epillyss wax, resulting in ultra-low melting points, quick and fluid application, and many more remarkable benefits. Sensor Wax - Featuring oligo, Sensor wax grips all types of hairs, with reduced traction on the skin. This wax enjoys an ultra-fluid texture, and features extracts of lavender and lemon. Sensor is a favorite for bikini waxes. Novatherm Wax - This shiny "Barbie" wax contains vasodilating properties, making this the perfect wax for short or stubborn hair removal. Full of trace elements, Novatherm enjoys an exceptionally fluid gel consistency which allows for a very efficient wax. Millenia Wax - Featuring lavender essential oil, this wax is not only a beautiful color, but it minimizes pain, redness, and soreness due to its vasodilating and calming properties. This strong wax is idea for bikini and underarm waxes. Chocolat Wax - Cocoa is an integral ingredient in the Chocolat Wax, which provides vitamin E and antioxidant properties to prevent skin dehydration during the depilation services. The chocolate fragrance is comforting, and the creamy gel consistency applies thin, allowing for a very efficient wax. Sensitive Skin Wax - Featuring a high natural level of vitamins, proteins, mineral salts, and oligio elements, the Sensitive Skin wax stimulates the skin and tightens the pores after depilation, assisting in minimizing ingrown hairs. While this wax is good for all skin and hair types, it is especially recommended for those with sensitive skin. 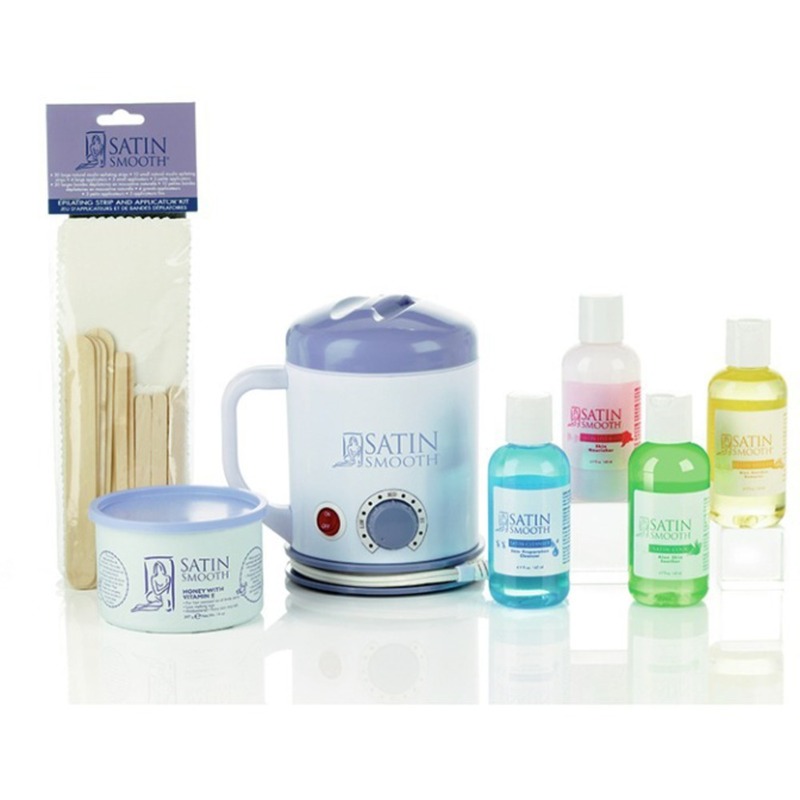 Added sea collagen ensure the skin is moisturized and left feeling silky soft. Natural Honey Wax - A natural antiseptic, the healing properties of honey have been recognized for at least 4,000 years. This wax is fluid, easy to apply, and ideal for all skin and hair types. White Queen Wax - Epillyss' #1 selling wax, White Queen is milky and easy-to-apply. Featuring zinc oxide, which is known for its antiseptic and purifying properties, this wax is perfect for sensitive skin. Azulen Wax - Apple Green in color, this wax contains German Chamomile to calm and soothe the skin during the waxing process. This wax has a liquid consistency, and is very easy to apply. Every story needs a great ending, and your waxing service does too! During the waxing process, the layer of dead skin cells are removed along with the hair, sometimes leaving the skin red, sore, and inflamed. The Post-Depilatory step is designed to soothe this aggravated skin, while removing any wax residue and moisturizing the skin as well. Again, Epillyss nods to esthetician's differences, and offers post-depilatory products in creams, oils, or gels. Choose your favorite! Post-Depilatory Azulene Oil - This anti-inflammatory oil was developed to gently remove wax residue while calming and soothing freshly waxed skin. This versatile, best-selling oil can be mixed with the Aloe Post-Depilatory Gel, Vitamin E Post-Depilatory Cream, or Collagen Post-Depilatory Milk to amp up the hydration results. Post-Depilatory Collagen Milk - Hydrate, tone, and sooth freshly waxed skin with this moisturizing powerhouse! Containing vitamins, proteins, mineral salts, and micronutrients, Epillyss Collagen Milk is not only perfect to drench the skin in moisture after waxing, but try it during your manicures and pedicures, too! Aloe Post-Depilatory Gel - A Pure Spa Direct FAVORITE - this Aloe Gel is ideal for post-depilatory soothing and healing. The cooling effect of aloe is extremely soothing to irritated skin, and it leaves your client feeling, cool, refreshed, and moisturized.